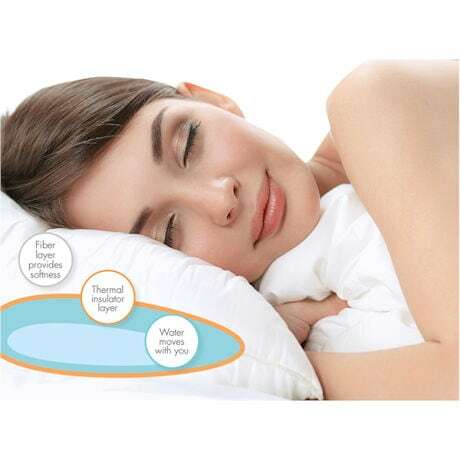 Adjust your pillow to your exact firmness preference with this tri-layer pillow. The secret? An interior water compartment you fill to the firmness you like. 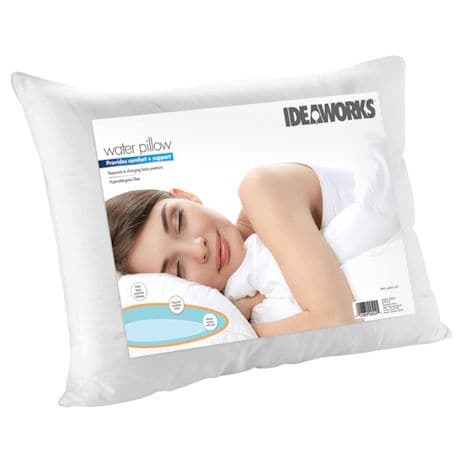 Support your head, neck and shoulders - whether you are a side, back or stomach sleeper. Hypo-allergenic fiber outer layer provides softness beneath your head, while the middle layer provides a thermal insulation, to keep you cool. The water inner layer moves and responds to movement, restoring support no matter where you toss and turn. Sealed water compartment is leak-free. Standard pillow size fits your pillow case.